A trip to Bagan is worthy of sharing with your friends, family, and the world. 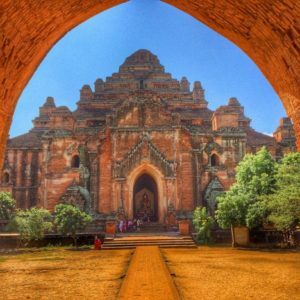 The best way to share your best memories in Bagan is through Instagram’s visual sharing. 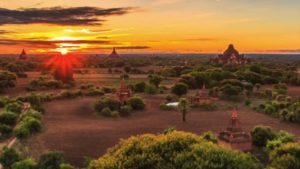 Bagan is a breathtakingly beautiful place and there are many great spots for you to capture incredible photos. 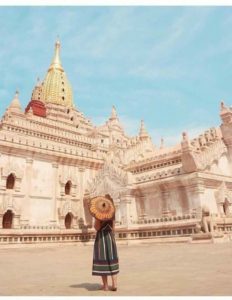 If you are into Instagram and photographing, this article will help you find the perfect photo-taking spots in Bagan. 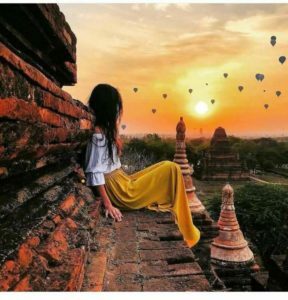 Here is our selected best Instagram spots in Bagan. This pagoda is one of the most famous pagodas in Bagan. Ananda Pagoda has a very typical corner where you can take a beautiful photo as shown below. This temple is one of the few temples that still allow the people to climb up. 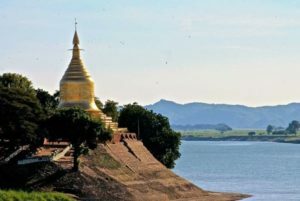 Since you can climb up the temple, you can get incredible view of the plain of Bagan. There are many temples around Shw Gu Gyi, therefore every corner of this temple has great background for photos. This is a great spot for either sunrise or sunset and it is usually very crowded with visitors. Lawkanada pagoda is built on the bank of the Ayerwaddy river. This pagoda has mesmerizing view of the river, mountains, and ferry boats. The best time to take great photos at Lawkanda pagoda is during the sunset. The best shots can be taken with the river and mountains in the background. This pagoda is popular with couples because there are many benches for them to sit and watch the sunset. This place is also known as a group of red temples and it is located near Htee Lo Min Lo Pagoda. You will find ancient temples and ruins in one place and it is a very good place for taking pictures. Some of the temples are quite damaged due to earthquakes and it is a unique spot for great photos. One of the most annoying thing is having other people in the photo. So the best spots for your Instagram photos should be the places that are not crowded with visitors. Bulethi Temple is the best choice for you because it is not swamped by tourist like other temples. You can climb up the temple to take your best Instagram shot but be very careful and mind your steps. There are manmade hills for the visitors to watch the sunrise and sunset. The hills are quite high and they’ve got handrails for safety. You can see all the pagodas and ruins from these hills and they are amazing spots for photo taking. Many local couples choose these hills to take their pre-wedding photos as well. 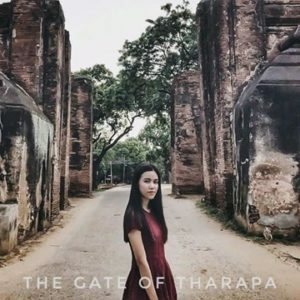 Tharabar gate is the famous gate of Old Bagan city and it is also the only surviving gate of Bagan. The magnificent Tharabar gate is still standing strong but large vehicles are not allowed to drive passing the gate. They ban the cars in order to prevent the gate from getting destroyed by the vibrations of the vehicles. If you wish to take good photos with Tharabar gate, you should go early in the morning or in the evening. Because it is not good to take pictures there when it is too sunny. 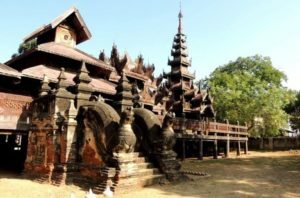 Bagan Yoke Sone Kyaung is a 300 years old monastery that is made of teak. The staircase of this monastery is unique and very good spot to take an interesting photo. The monastery is also a beautiful background for your photo. The interesting carvings, artwork and sculptures are also very unique and fabulous for you to take photos with. This monastery is located near Shwe Laik Tu Temple in Wetkyi-inn village. You will find marionettes hanging from the tree near the famous temples and pagodas. Taking a photo among the marionettes is very popular among the visitors. You don’t need to buy one to take a photo but you need to be gentle when holding the puppets. 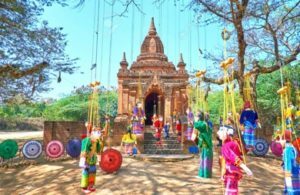 Have a bright smile among the colorful Myanmar traditional marionette! 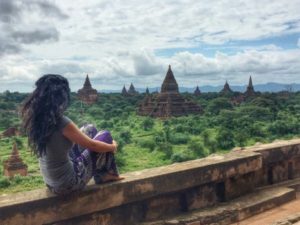 Damanyangyi temple is known to be the biggest temple in Bagan and it is a fantastic view for Instagram lovers. This temple is aging gracefully and look very powerful. The best way to take a picture is standing on the dusty lane with the temple in the background. Horse carts are one of the popular transportation for the visitors. 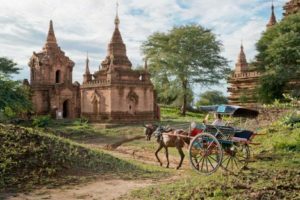 An Instagram picture of you riding a horse cart is a must when you travel to Bagan. Ask the horse cart owner to drive off the road and take pictures with the temples in the background. 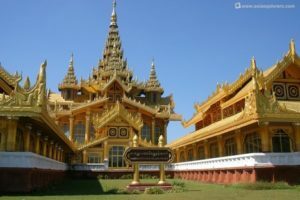 You should also visit Bagan Golden Palace which is a replica of the ancient palace. The shiny golden palace is an excellent choice to take a good photo and the entrance fee is 3 USD. It is quite small but there are many great spots for impressive Instagram photos with ancient Bagan Palace. You also take ancient Bagan style clothing and take a selfie. Riding hot air balloons in Bagan is costly. But taking a photo with flying hot air balloons is free. Don’t forget to take photos with hot air balloons. Disclaimer: We didn’t own none of the above photos. 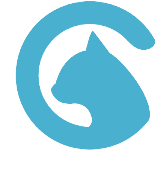 If you are the owner of the photos and would like us to take out from our post, feel free to reach out to us.